Detectives are seeking to identify the individual in attached photos as part of an investigation regarding a recent robbery. At about 3:24pm, Tuesday, January 07, 2014, officers from District D-14 (Brighton) responded to a call for a bank robbery at30 Birmingham Parkway, Brighton (Santander Bank). 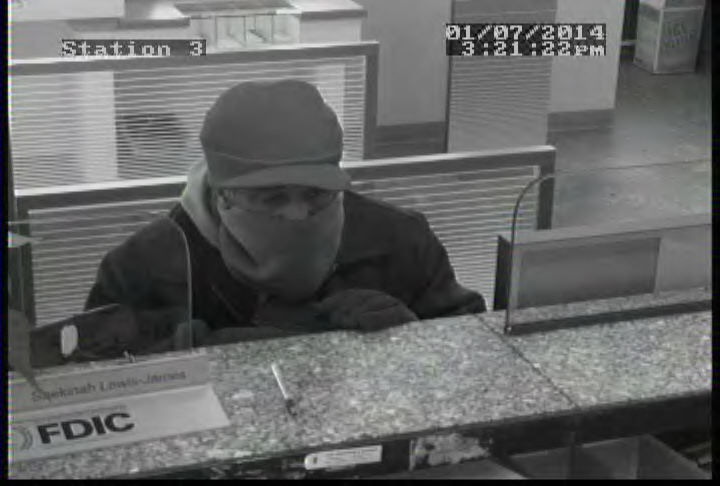 The suspect brandished a firearm and fled the bank with an undisclosed amount of money. The suspect fled the area towards Western Avenue. 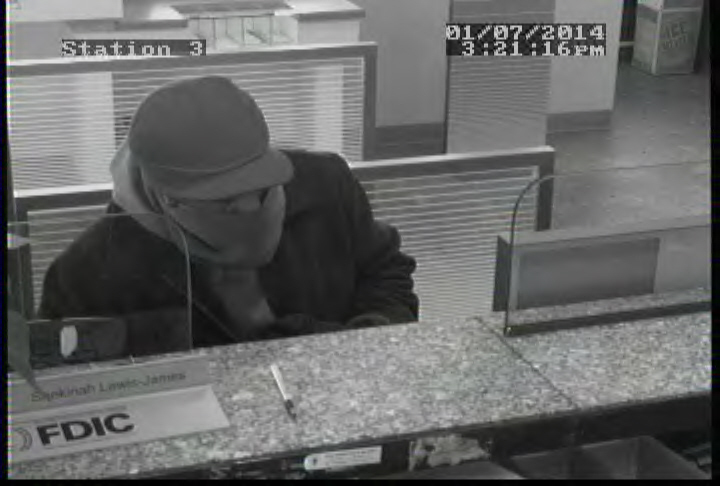 The suspect is described as a Black male, 5’3”, wearing a black hat, grey scarf, and a red hoodie. 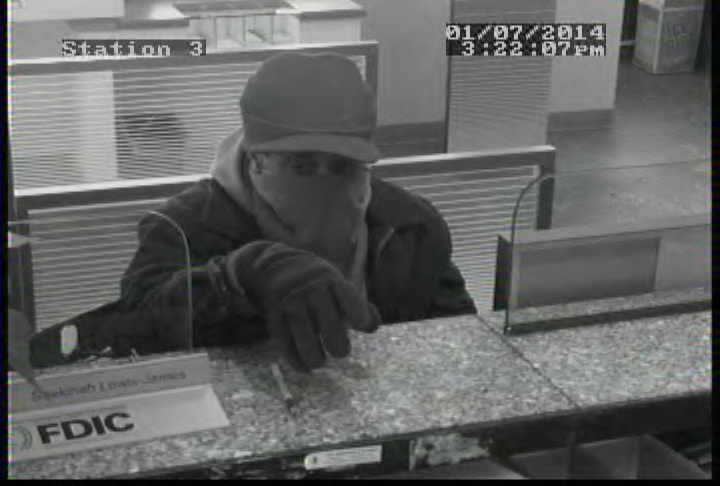 If you have any information regarding the above pictured individuals please contact the Bank Robbery Task Force at 617-223-6407 or D-14 Detectives at 617-343-4526. Individuals who wish to provide information in an anonymous manner may do so by calling our CrimeStoppers Tip Line at 1-800-494-TIPS. You may also text ‘TIP’ to CRIME (27463).